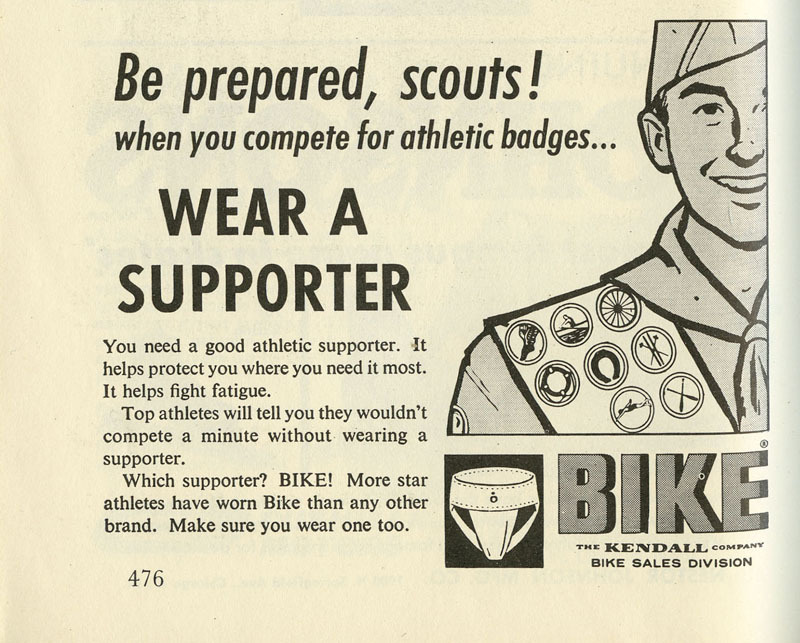 As a Boy Scout you never know what type of support you'll need. Surely you'll need a reliable motor so you aren't left stranded alone in the middle of a lake as the sun goes down and the wolves start howling and you realize all you brought along, other than your fishing gear, was a flashlight which has batteries about to die, no sweater, and you're wishing you hadn't eaten that bologna sandwich at 9:30 in the morning. You're still trying to get a grasp on the whole "be prepared" motto. 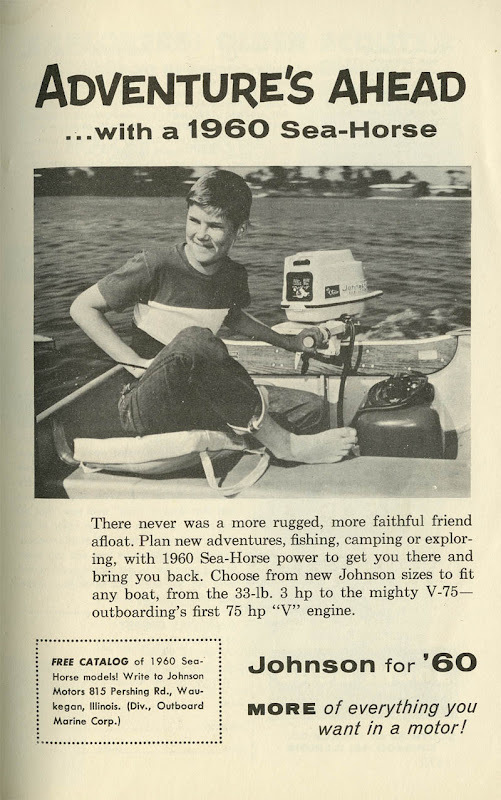 Johnson Outboards was a US based manufacturer of outboard motors. The original company to make Johnson inboard motors and outboard motors was the Johnson Bros. Motor Company of Terre Haute, Indiana, United States. A few years after the Johnson brothers' factory in Terre Haute was destroyed by a tornado in March 1913, the brothers relocated to South Bend, Indiana and then Waukegan, Illinois. The company was first acquired by Outboard Marine Corporation (OMC) and then later by Bombardier Recreational Products. To see an old Johnson Sea-Horse neon sign click here. But at least a particular part of your body will stay warmer through the cold long night. Click on the "Boy Scout" label below to see previous scouting posts. The scouting ephemera I've featured in posts on the ephemera blog have been some of the most popular. I'm particularly amazed by the shear number of items (such as pins, banners, booklets, etc.) that scouting has created. It's a paradise for ephemera collectors who specialize in this area of collecting. And sadly I think most of us have lost most of our old scouting ephemera. I no longer have my badges, though I do have one pin. Tossed or lost in moves.